The new Ford Escape is the adventure-ready compact crossover that combines effortless style with fun performance. 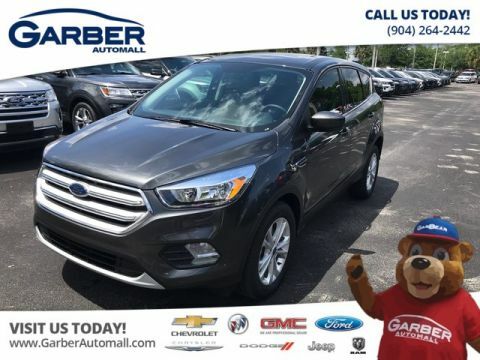 The fun is just getting started in the new Ford Escape, the compact crossover that delivers good looks, cargo versatility, and satisfying efficiency. 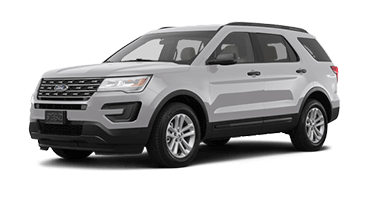 From the moment it arrives on the scene, the new Escape gets heads turning with its aerodynamic body, athletic stance, and bold front grille. Effortless style continues into the Escape’s interior with a sculpted dashboard, heated front seats, and premium materials. 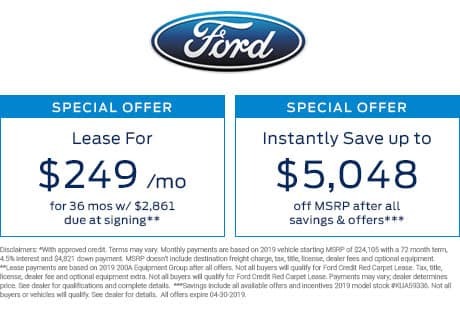 Add the Panoramic Vista® Roof and hands-free liftgate, and the new Ford Escape will leave a lasting impression. 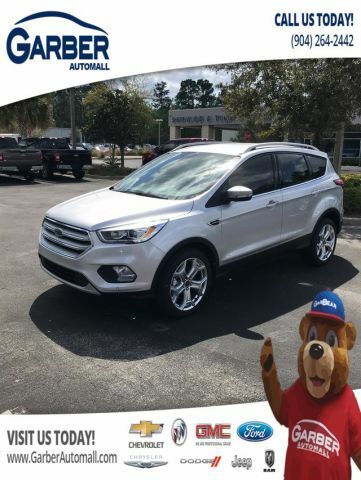 Whether you’re commuting to Orange Park, dropping the kids off in Fleming Island, or meeting friends in Jacksonville, the new Ford Escape never disappoints. 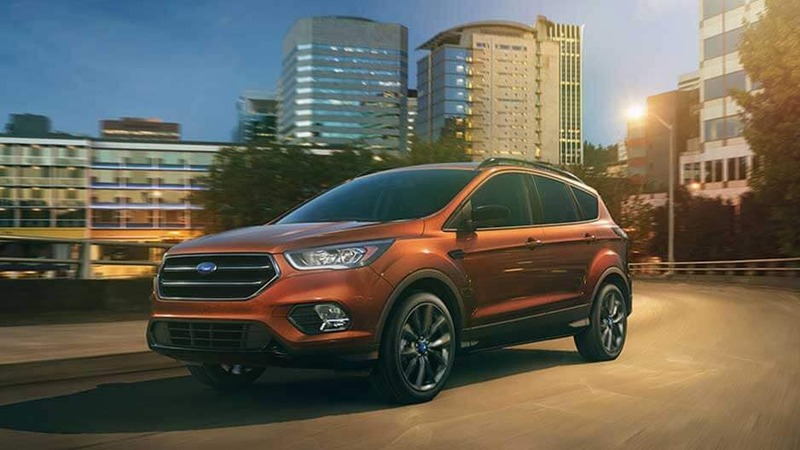 Whether you want efficiency or power, the new Ford Escape delivers with a 30-mpg-highway 1.5-liter turbocharged engine and an available 245-horsepower 2.0-liter twin-scroll EcoBoost® engine. These are just a few of the ways Ford designed this compact crossover with your wants and needs in mind. 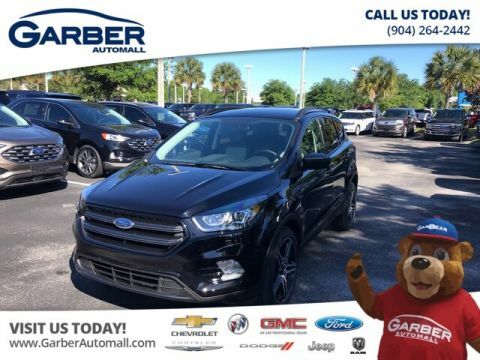 Discover what you’ve been missing today, by scheduling to test drive the new Ford Escape at Garber Automall in Green Cove Springs today. Ford designed the new Escape with the adventure seeker in mind. This compact crossover looks at home cruising around town or exploring off the beaten path. 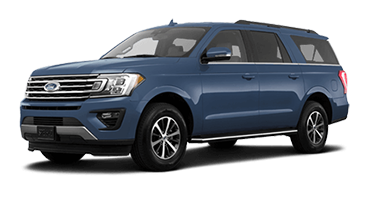 The Ford Escape may be compact, but it’s big on style. 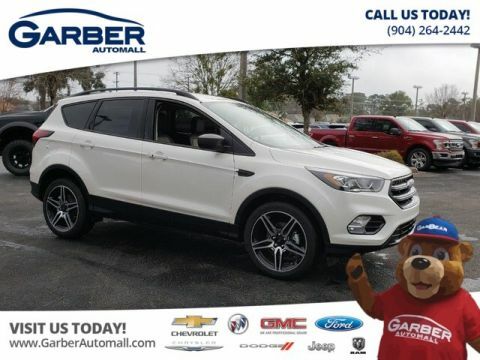 Featuring graphic lines and sharp angles, the Ford Escape blends sophisticated features and innovative technologies for a cool, confident look. Dark nights are no match for the new Ford Escape’s available bi-xenon HID headlamps that cast light farther than traditional bulbs. The new Escape also features LED taillights that broadcast your movements to vehicles behind you. The new Ford Escape’s heated side-view mirrors cut through snow, ice, and fog with ease. 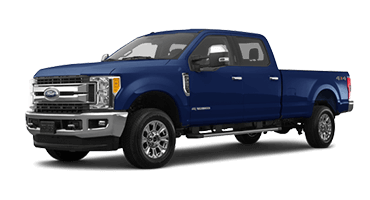 Activated alongside the rear defroster, the mirrors warm up to eliminate ice, snow, and fog, ensuring an unobstructed view. With the new Ford Escape’s available hands-free power liftgate, it’s easy to load the cargo area without fumbling for keys. Wave your foot below the rear bumper, and the liftgate opens automatically to a programmable height. 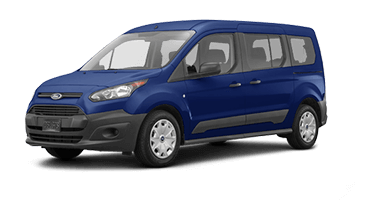 The new Ford Escape is available in ten eye-catching colors, including Lightning Blue, Ruby Red, and Cinnamon Glaze. 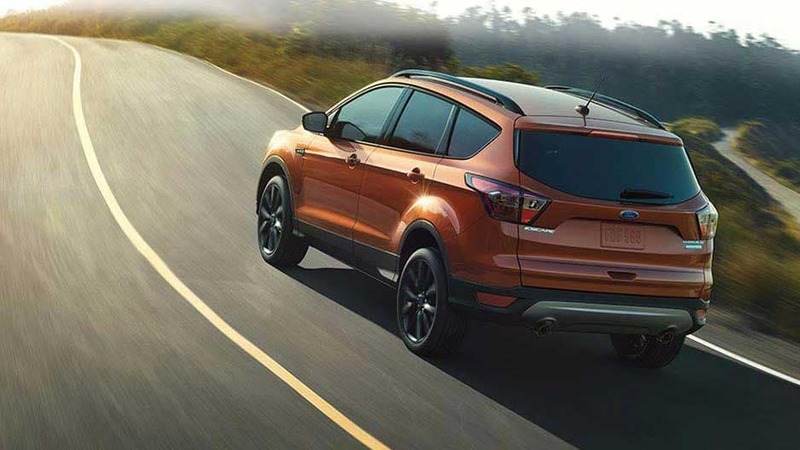 Wherever the road takes you, the new Ford Escape ensures you arrive in comfort and style. 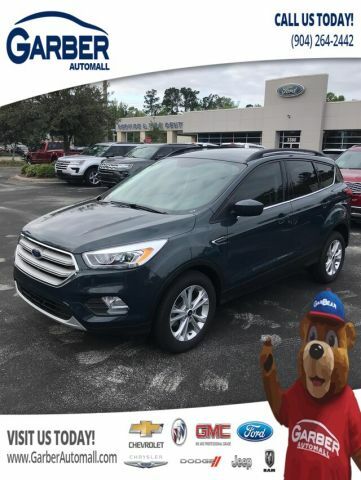 Ford designed this crossover with the journey in mind thanks to its ample cargo space, dual-zone climate control, and the Panoramic Vista Roof®. 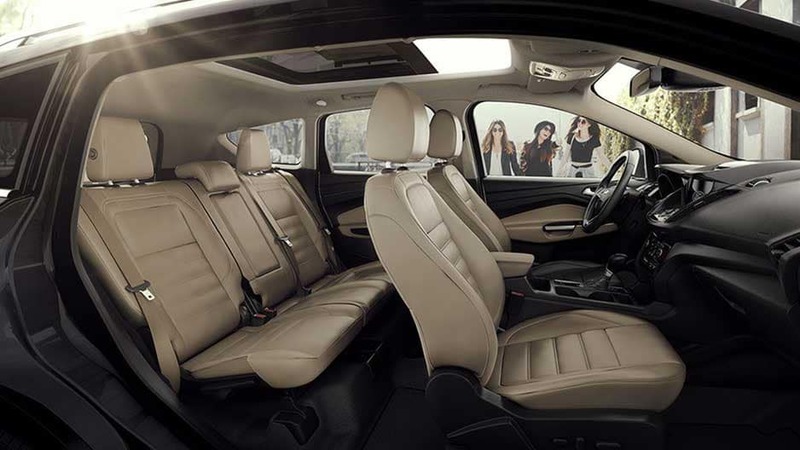 Ford ensures the new Escape can bring more along for the ride with its 60/40 split-fold rear seats. 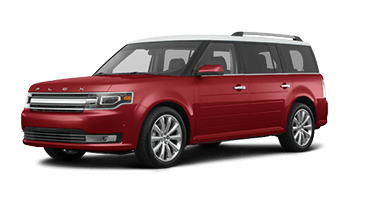 Lower the seats and unlock up to 68 cubic feet of cargo space, which is more than enough for your camping gear or sports equipment. 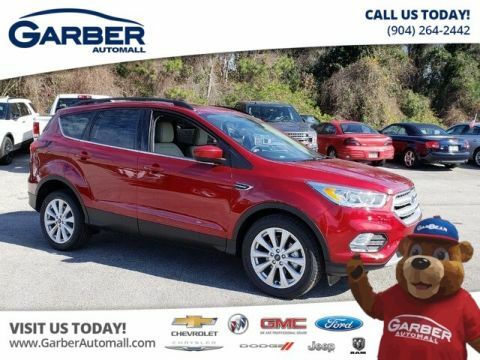 Sit back and enjoy the ride in the new Ford Escape. 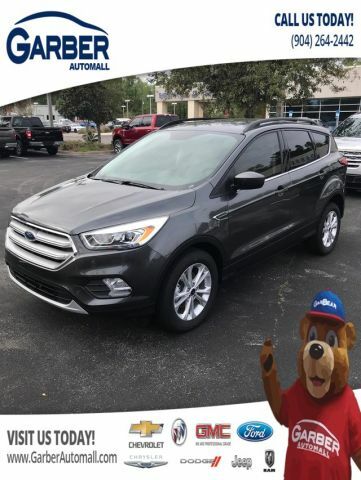 Ford designed this compact crossover with a contemporary vision in mind, including a multifunction steering wheel, sculpted dashboard, premium materials, and available heated front seats. 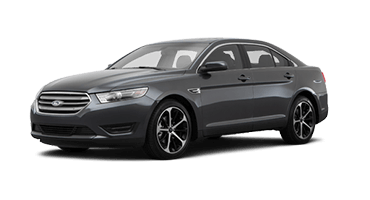 Brighten your morning drive with the available Panoramic Vista Roof. 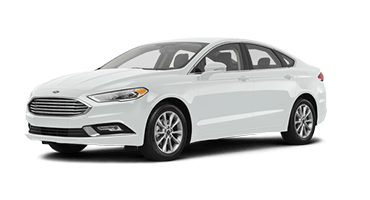 This sunroof features a large forward panel that tilts up and slides back to allow fresh air in while the fixed rear panel provides back-seat passengers plenty of natural light. With the Ford Escape’s dual-zone climate control, you and your front passenger can choose an individual climate settings, ending the battle over whether it’s too hot or too cold. Forget about fumbling around in your pocket for your keys. 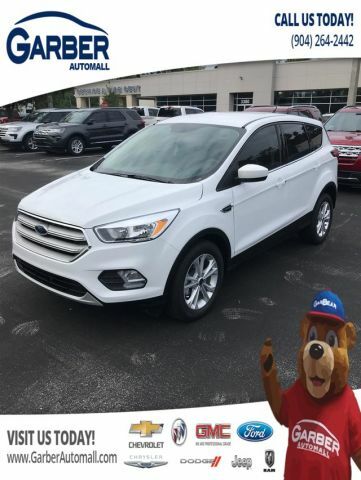 With the Ford Escape’s available Intelligent Access with push-button start, you can open the doors and start the engine with the push of a button, as long as you have the access key on you. 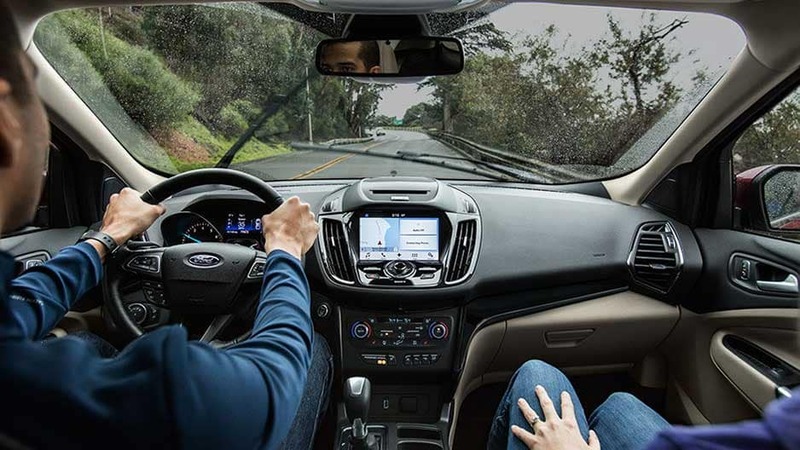 The new Ford Escape boasts the tech features to keep you entertained the whole way home. Connect your smartphone to the Sync® 3 infotainment system, pump up the volume with the Sony® Advance audio system, and let the Escape carry you away. With the Ford Escape’s available Sync 3 infotainment system, you can access to your favorite smartphone apps on the go. Connect your device via Apple CarPlay™ or Android Auto™ to stream music, answer calls hands-free, and look up directions. Enjoy crystal-clear audio on your next adventure with the Ford Escape’s available Sony 10-speaker audio system. 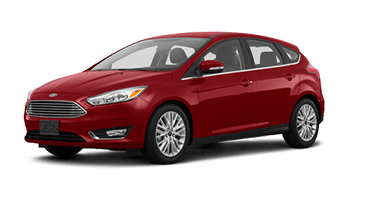 Ford placed the speakers around the cabin to ensure no you’re surrounded by high-quality sound. Tired of the same playlists? The new Ford Escape has an available six-month trial subscription to SiriusXM Satellite Radio. Enjoy up to 150-channels of commercial-free music stations, entertainment, news, live sports, and so much more. The new Ford Escape has an available five-year complimentary subscription to SiriusXM Traffic and Travel Link. This system provides detailed traffic information, weather, gas station locations, and so much more. With the FordPass app, you can access certain vehicle functions from your palm. 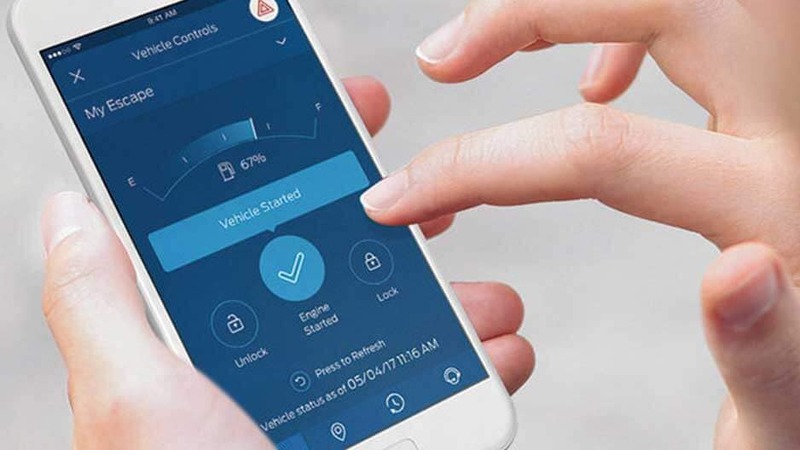 The app allows you to lock and unlock the Ford Escape, start the vehicle, check key vehicle info, compare gas prices, and so much more remotely. The new Ford Escape earned a five-star overall safety rating from the NHTSA, and it’s easy to see why. 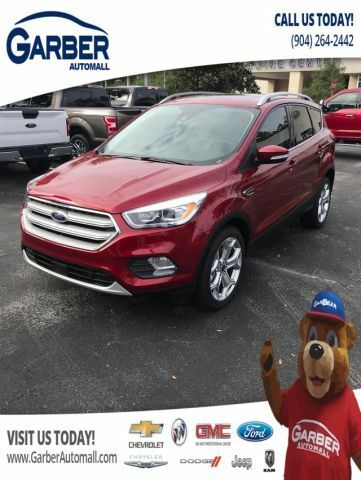 This compact SUV is prepared for the unexpected with the latest in advanced safety features such as forward collision warning, Blind Spot Information System®, and Active Park Assist. 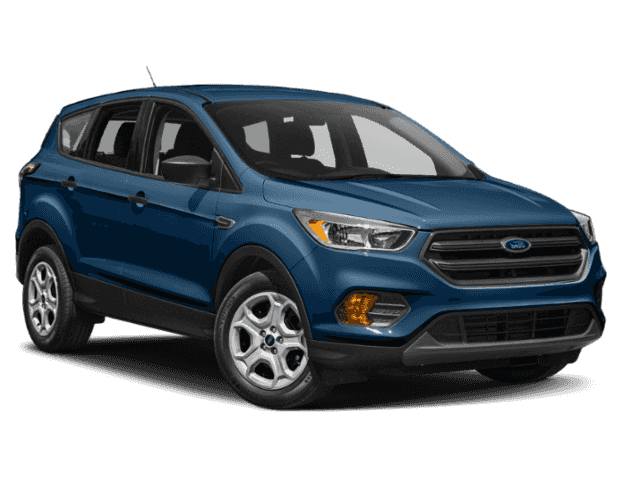 Forward collision warning uses radar to scan the area in front of the Ford Escape and alert you of a potential collision with a vehicle ahead. If a crash seems imminent, the system precharges and increases brake sensitivity for full responsiveness. Using radar, the new Ford Escape’s Blind Spot Information System scans the surrounding area for vehicles in your blind spots. If it detects a vehicle, the system will alert you with an illuminated icon on the corresponding side-view mirror. 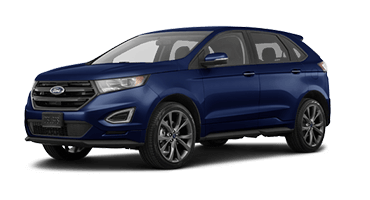 With the Ford Escape’s available adaptive cruise control, you can choose your cruising speed and following distance. If the system detects you’re approaching a slower vehicle, it will slow down the vehicle automatically to maintain the preset distance, and speed back up when it no longer detects the vehicle. The available lane-keeping system detects when the Ford Escape drifts from its lane. When the system detects drifting. It alerts you with gentle steering wheel vibrations to help you get back on track. Back into any parking spot without breaking a sweat with the Ford Escape’s rearview camera. Place the Escape in reverse, and the display screen switches to a live feed of the area behind you automatically. It even includes guidelines to lead the way. 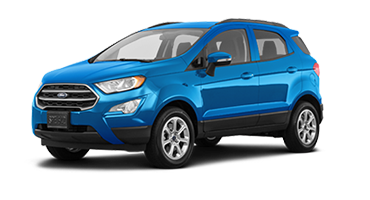 Parallel parking has never been easier than with the Ford Escape’s available enhanced active park assist. Activate the system while searching for a parking spot, and it will identify an appropriate spot and steer you into it. 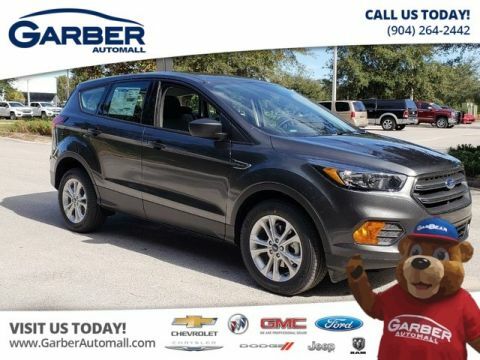 You control the accelerator, brakes, and gearshift — the Escape does the rest. The fun doesn’t stop in the new Ford Escape. This fun-loving crossover offers three engines options, intelligent all-wheel drive, and an available Trailer Tow Package, so you can bring more along for the ride. 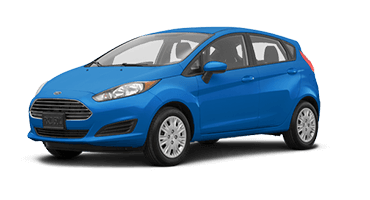 The 2.5-liter four-cylinder engine is standard in the Ford Escape S and offers the zippy performance you want at 165 horsepower. Flex-fuel technology also makes this a thriftier ride. 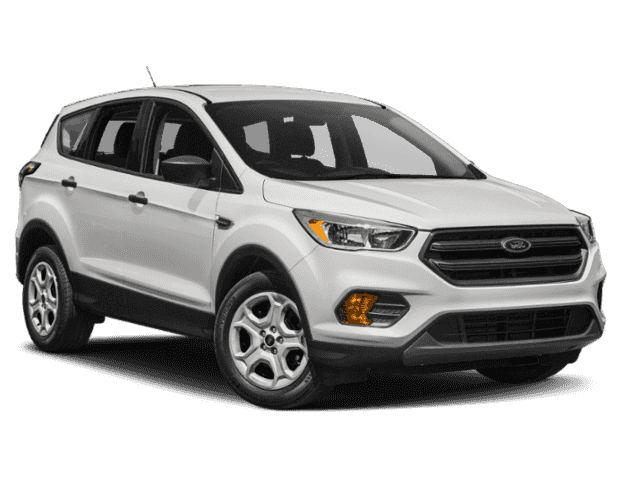 Drive farther between fill ups with the Ford Escape SE and SEL’s 1.5-liter turbocharged EcoBoost® engine with auto stop-start technology that gets up to 30 mpg on the highway. 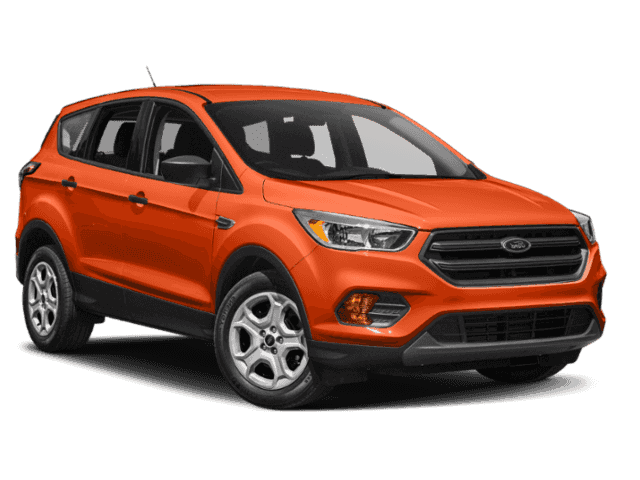 The new Ford Escape Titanium pairs with a spirited 2.0-liter twin-scroll EcoBoost engine that kicks out an exhilarating 245 horsepower and features auto start-stop. 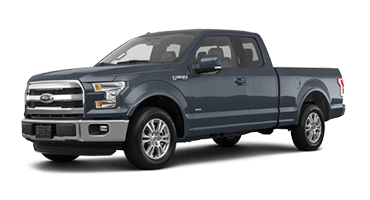 The twin-scroll technology provides quick torque delivery while the auto start-stop technology ensures the Escape achieves a satisfying 29 mpg on the highway. Let nothing hold you back in the new Ford Escape with Intelligent All-Wheel Drive. 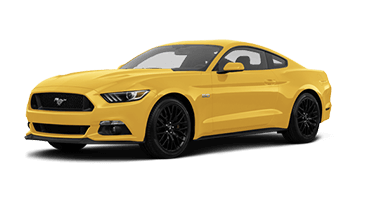 This system monitors road conditions and traction every 16 milliseconds, so it can transfer torque from the front wheels to the rear when necessary for optimum handling. Bring more along for the ride in the new Ford Escape with the Trailer Tow Package. 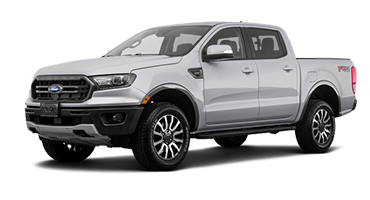 With this package, the Escape tows up to 3,500 pounds so you can bring your trailer or jet skis on your next adventure. for Overall Vehicle Score based on Critics’ Rating. Wherever the road takes you, you’re sure to enjoy the ride in the new Ford Escape. This compact crossover features the latest in advanced technology that keeps you connected on the go, like the Sync® 3 Infotainment system. Connect your device via Apple CarPlay™ or Android Auto™ and stream your favorite playlists through the Sony® audio system. You can also take advantage of the SiriusXM® Traffic and Travel Link® and never get lost again. The new Ford Escape ensures you have the space to bring everything along for the ride. 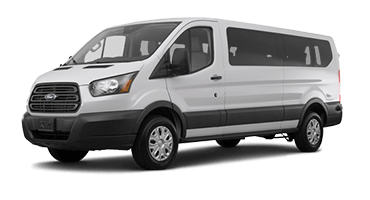 Lower the 60/40 split-fold rear seats and unlock up to 68 cubic feet of cargo space. Need more room than that? With the available Trailer Tow package, the Escape can tow up to 3,500 pounds, so you can hitch a trailer and bring even more on your next adventure. All this and more is waiting for you in the new Ford Escape. 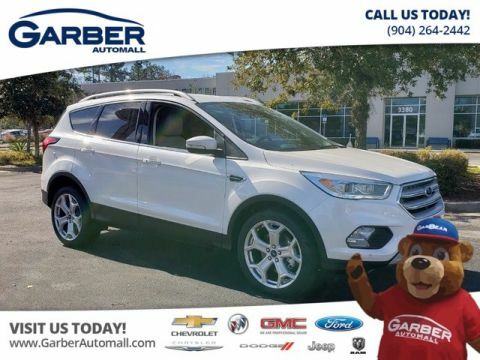 Schedule a test drive today with Garber Automall in Green Cove Springs to experience the Ford Escape for yourself.